Today, one and a half years after the last LOVD2 release, LOVD 2.0-36 has been released. New features implemented, amongst others: Rewrote all communication with Mutalyzer to the new standard, which will be required starting from the next Mutalyzer release, planned in September 2014; The LOVD Mutalyzer module has been updated as well. Bugs fixed, amongst others: Variants were shown with an offset of one base in the Ensembl genome browser; In some cases, when multiple variants with the same ID are connected to one patient, one of these variants can not be edited anymore; The StopForumSpam check at user registration could not deal with multiple email addresses in the email field; Due to the HGNC changing their URL schema again, no new genes could be created using the HGNC ID. Please note that due to the change in communication with Mutalyzer, the namechecker may not work before, during, or shortly after the Mutalyzer upgrade. Manual version included: February 9nd, 2011. Today, almost one full year after the last LOVD2 release, LOVD 2.0-35 has been released. New features implemented, amongst others: Improved the export script for central repositories; Added additional spam protection to the submitter registration form using the StopForumSpam.com API, like in LOVD3. Bugs fixed, amongst others: Fixed problem in the REST webservice with curator names with special characters; Fixed problem when creating genes due to the HGNC changing their URL schema. Today, LOVD 2.0-34 has been released. New features implemented, amongst others: Added the VarioML export format, only accessible for Managers and up; The dbSNP export format has been extended with new columns. Bugs fixed, amongst others: Creating a gene database on MySQL versions 5.5 and up is now also supported; The link to the Ensembl genome browser is functional again; Fixed some problems with the gene switcher and genes with special characters in their names. Today, LOVD 2.0-33 has been released. New features implemented, amongst others: Improved module system to allow LOVD to directly call a module's method; Added method in the Mutalyzer module that checks during submission if Mutalyzer still has a copy of LOVD's reference sequence on the server - if not, it reloads it. Bugs fixed, amongst others: LOVD was not installable on MySQL 5.5 or higher because MySQL changed its syntax; Fixed bug in the creation of BED files, introduced in 2.0-32; Fixed some problems with downloading and importing control characters. Yesterday we were notified that there were problems in the mapping of variants after upgrading to 2.0-32. We noticed an optimization in a parsing function in LOVD didn't work with PHP versions before 5.0.0. If you're running PHP 4, we recommend you to upgrade your LOVD to 2.0-32b. Today, LOVD 2.0-32 has been released. New features implemented, amongst others: LOVD can export a BED file for just the variants from a certain publication, allowing authors to visualize the publication's variants on a genome browser; the variant listing below the patient detailed view can now also be sorted on allele; confirmation emails from submitter registrations now carry a Reply-to header; updated links to OMIM. Bugs fixed, amongst others: Fixed problem authorizing a user of the same level to be curator; after an upgrade the Configuration area kept notifying you of the possible upgrade for a while; fixed problem with the news feed on MySQL >= 5.0.13; fixed problem with the reCAPTCHA module not showing; fixed various issues with the Mutalyzer module. Today, LOVD 2.0-31 has been released. New features implemented: User and submitter email addresses are now clickable from the detailed views, updated Reading Frame Checker. Bugs fixed, amongst others: The sticky header didn't move sideways when scrolling down and to the right at the same time, improved XSS check, fixed display issue when hiding multiple consecutive columns. Shortly after the release of LOVD 2.0 build 30, we noticed there was a problem with the Mutalyzer module. This update of LOVD 2.0-30 fixes this problem. If you use the Mutalyzer module, be sure to download of 2.0-30 again. You can verify if you have the correct version by checking the included changelog.txt, it should mention the 2.0-30 update on the top of the file. Today, LOVD 2.0-30 has been released. New features implemented, amongst others: Added Reply-To header for emails sent out by LOVD, the standard variant overviews now have a "sticky" header in stead of repeating headers every 25 rows, variant data can now be exported also in Mutalyzer batch checker format and dbSNP format which is sent to dbSNP directly by LOVD. Bugs fixed, amongst others: Fixed debug code output when logging out, replaced deprecated functions, fixed premature stop when importing files with empty lines in between, links to genome browsers now also work when using hg18, users could no longer add themselves as curators from the "update account" form. On the 13th of December 2010 the second course on the curation of gene variant databases was given at University College London (UCL) in London (UK). The course addressed, both at practical and theoretic level, the issues encountered when one curates a gene variant database (LSDB). During the course the LOVD software was used in the practical sessions. The course was organised in association with the Gen2Phen project. UCL, esp. Dr. Sarah Leigh for hosting the course. Gen2Phen, esp. Prof. Raymond Dalgleish and Dr. Jacopo Celli for initiating the course, sharing their knowledge and co-funding. We plan to make a separate place on this website to host the course documents and are preparing a manuscript on this subject. 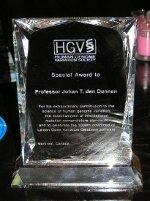 On the 1st of November 2010 a first course on the curation of gene variant databases was given at The National Institutes of Health (NIH) in Bethesda, Maryland (USA). The course addressed, both at practical and theoretic level, the issues encountered when one curates a gene variant database (LSDB). During the course the LOVD software was used in the practical sessions. The course was organised in association with the Human Genome Variation Society/Human Variome Project and the Gen2Phen project. 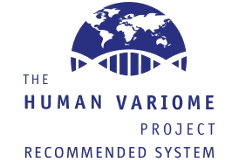 the Human Genome Variation Society/Human Variome Project, esp. Ms. Rania Horatis and Ms Heather Howard, for helping in the organisation and supporting Tim Howard as a speaker. Gen2Phen, esp. Prof. Raymond Dalgleish, Dr. Jacopo Celli and Johan den Dunnen for initiating the course, sharing their knowledge and co-funding. Today, LOVD 2.0-29 has been released. New features implemented, amongst others: Variant checking is now done using the newer and better Mutalyzer 2.0 version, gene names are now also submitted to the list of public LOVDs to help build an LSDB list, searching text with a pipe (|) is now possible by using quotes, the status of a marked variant will now change to public if the curator agrees to changes made by the submitter. Bugs fixed, amongst others: Variant mapping was not initiated automatically after importing new data, fixed query error in older MySQL versions in a new feature, fixed possible infinite loop in variant mapper, downloaded custom column data could actually not be imported directly, fixed forgotten link from the Configuration area to the option to edit the curator list of the selected gene. Manual version included: August 2nd, 2010. Make sure you are logged in as curator or higher user level. If not opened already, click on the "Configuration" tab. Make sure the correct gene is shown on the top of the page. If not, click the green switch icon and switch to the correct gene database from the list. Click the "Edit gene db" icon in the icon bar just below the menu tabs. Change the value of the "Human Build to map to (UCSC/NCBI)" field to "---- / non-Human", scroll to the bottom of the page, type in your password to authorize the changes, and submit the form. Edit the gene settings again, and change the human build value back to what it was, e.g. "hg19 / GRCh37". LOVD will now remap all the variants in this gene database. Today, LOVD 2.0-28 has been released. New features implemented, amongst others: Added a link to the Ensembl genome browser, when editing variants or patients the log entries now indicate what has changed, improved import file handling, improved the search functionalities by allowing for "phrase searching". Bugs fixed, amongst others: Fixed problem with the Copy Column feature, fixed security issue with public downloads of the unique variant overview, fixed notices when importing files with less data columns than header columns. Today, LOVD 2.0-27 has been released. New features implemented, amongst others: Managers can now also select curators for a gene, in stead of selecting genes for a curator; the list of curators on the gene homepage is now sortable and curators can be hidden from this list; added a couple of custom columns. Bugs fixed, amongst others: Non-numeric chromosome locations like 2q33-qter or 19cen-q13.1 are now also accepted as valid input; fixed problems with the validation of long DBID values; fixed data import problem that some users reported; relaxed the gene symbol check a bit, since the correct C#orf# gene symbols were rejected. Manual version included: April 12th, 2010. Today, LOVD 2.0-26 has been released. New features implemented, amongst others: The Find & Replace feature now also allows for "Field contains anything" type of matching, added support for NR reference sequences and the hg18 / NCBI Build 36.1, clarified how to submit homozygous variants on the variant submission form. Bugs fixed, amongst others: Fixed incorrect mutation count calculation, fixed lack of data verification when importing custom column data, data from public fields of patients with only non-public variants could be viewed, downloading and re-importing data containing quotes malformed these. Today, LOVD 2.0-25 has been released. New features implemented, amongst others: LOVD can import data from the HGNC when creating a new gene database, the submission page is redesigned to help users find their way, the Entrez Gene ID will also be provided by the LOVD API. Bugs fixed, amongst others: Internet Explorer couldn't hide the info boxes explaining the data displays, fixed problem with the reloading of the Mutalyzer module, fixed incomplete display of the variant statistics page, downloading variant and patient data ignored the search terms in the submitter ID field, submitters could not always see all variant data of patients submitted by them, fixed problem with curator authorization; curators could find a way to see hidden data from patients of other gene databases and they could find a way to see non-public variants from other genes. Manual version included: December 11th, 2009. Today, LOVD 2.0-24 has been released. New features implemented, amongst others: Updated LOVD's API greatly by implementing genomic-location based searching for genes and variants in a non-exact matching type, added column hiding on more variant overviews, enabled GenBank uploader script to extract important transcript IDs. Bugs fixed, amongst others: Fixed some issues with viewing LOVD data in the UCSC genome browser, fixed some issues of malfunctioning functionalities when using SSL, fixed problem where LOVD was sometimes shown as a page full of HTML code, fixed a problem with Find & Replace. Today, LOVD 2.0-23 has been released. New features implemented, amongst others: Improved the LOVD webservice API greatly; gene information can be queried and it allows searches for genomic DNA positions as well as coding DNA positions. Variants in correctly configured genes will be mapped to the genome, and links to the UCSC genome browser and the NCBI sequence viewer have been made available. Also the feature to temporary hide columns from the view has been enhanced, the variant overviews now show an info box to explain the current view, and the Reading Frame Checker script now generates HGVS notation. Bugs fixed, amongst others: Fixed some issues with the Reference Sequence Parser and the variant statistics summary overview. Please NOTE that upgrading to 2.0-23 may take a long time if your database contains a lot of genes and variants! Manual version included: December 1st, 2009. Because the focus in development will move somewhat, releases of LOVD 2.0 will not be as frequent as normal. The next LOVD build, 2.0-23, will be released December 7nd, 2009. So no November release! Today, LOVD 2.0-22 has been released. New features implemented, amongst others: Improved user and submitter overview by adding icons to indicate their status, created LOVD RESTful webservice (currently undocumented), added Reading Frame Checker script (works in conjunction with the Reference Sequence Parser). Bugs fixed, amongst others: Fixed some problems with reloading the Mutalyzer module when using a different GenBank file, working in different LOVD windows in different genes sometimes caused LOVD to edit the wrong gene, Internet Explorer did not submit the search fields above the variant listings, fixed some problems in the Reference Sequence Parser. Manual version included: September 18th, 2009. Today, the LOVD Windows local install CD 2.0-21 has been released. Compared to the previous release, some programs and files from the xampp software which were not used, to keep the size of the CD down. Today, LOVD 2.0-21 has been released. New features implemented, amongst others: Included a list of all PubMed references in the database, improved LOVD module system, updated the variant statistics overview, added a "newsfeed" to LOVD to which users can subscribe to be notified whenever there has been an addition or update to the database, Mutalyzer module is now linked to Mutalyzer 1.0.4, added some improvements to the GenBank File Uploader script. Bugs fixed, amongst others: Some overviews were still sorted using the old method, users could receive errors when using the green "switch gene database" icon, fixed problem with the "variants with no pathogenicity" overview, fixed security issue: curators were able to make changes in genes not assigned to them. Manual version included: September 7th, 2009. As of today, you can find out about LOVD 2.0 news much quicker by subscribing to the Atom news feed. The next LOVD build, 2.0-21, will also include an Atom feed with information about new and updated variants. It is expected to be released September 7nd, 2009. Today, LOVD 2.0-20 has been released. This is an unplanned release, mainly to fix a sorting problem that occurs since 2.0-19. New features implemented: The default order of variant columns in new genes can now be set, the Reference Sequence Parser script and the GenBank File Uploader script now link to each other. Bugs fixed, amongst others: The sort column was not large enough for genes created in 2.0-19, the variant import did not include any XSS check, fixed possible XSS attack through names of additional columns in import files, the new sorting method didn't work with exon field values which contained characters, like "01i" or "01_27". Please NOTE that upgrading to 2.0-20 may take a long time if your database contains a lot of variants! Manual version included: July 14th, 2009. Today, LOVD 2.0-19 has been released. New features implemented, amongst others: Extended the variant summary tables, improved the correct sorting of variants, curator names are more visible, added easy gene switcher on the top of every page, added decimal and date input fields, added "Copy Column" advanced edit feature, added the LOVD manual as a PDF file. Bugs fixed, amongst others: Fixed two "harmless" SQL injection bugs, fixed problem with multiple-selection lists on the variant edit form, fixed update checker failure with allow_url_fopen setting off, fixed several display issues with the Reference Sequence parser. Manual version included: June 22nd, 2009. Today, LOVD 2.0-18 has been released. New features implemented, amongst others: When editing a column's default settings the changes can automatically be applied to the display settings; the ShowMaxDBID module now shows a link to copy the first free DB ID; the Reference Sequence Parser now automatically adds the generated file to the gene specified. Bugs fixed, amongst others: Importing existing variants into the database reported that no new variants were imported; the patient origin search overview did not work properly when one of the fields was a multiple option selection list; fixed some forms that did not allow for input containing double quotes; fixed bug which showed a query error on the screen in some cases when a curator agreed to a submitter's changes; the Reference Sequence Parser did not always highlight the alternative stop codons correctly. Due to holidays, there will be no release in June. The next LOVD build, 2.0-19, will be released July 6th, 2009. Manual version included: April 27th, 2009. Today, LOVD 2.0-17 has been released. New features implemented, amongst others: LOVD can now store the URL with which it is accessible from the outside which amongst other things allow it to add links to LOVD in emails, added option to have your LOVD installation indexed by the WikiProfessional concept web, added GenBank uploader script. Bugs fixed, amongst others: Advanced searching sometimes did not work correctly, IP range restriction did not work correctly, fixed some minor bugs in the Reference Sequence Parser script. Manual version included: April 6th, 2009. Today, LOVD 2.0-16 has been released. New features implemented, amongst others: Improved handling of input with quotes, Variant and Patient columns can now have a default value assigned, the Reference Sequence Parser script now also shows genomic numbering. Bugs fixed, amongst others: Some problems with the summary tables, problem with updating a variant connected to more than one patient, fixed three problems in the Find & Replace feature, fixed problem with sending email from Windows platform, fixed problem with importing files without the ID_allele_ column. Manual version included: February 5rd, 2009. There is a problem in the new version of the variant and patient data import script, which leads to incomplete variant import when leaving the ID_variantid_ field empty. If you want to make use of the autofill option of the ID_variantid_ field, be sure to download the updated import script and overwrite your config_import.php. Due to a problem with the LOVD packaging script, the new reCAPTCHA module did not include all necessary files. This update of LOVD 2.0-15 fixes this problem. If you plan to use the reCAPTCHA module, be sure to take a download of 2.0-15 which includes all necessary files. You can verify this by checking the included changelog.txt, it should mention the 2.0-15 update on the top of the file. Today, LOVD 2.0-15 has been released. New features implemented, amongst others: Added ability to delete a custom column, added ability to edit a custom column's column ID, custom links can now be managed through the custom column forms, the ID_allele_ and ID_variantid_ fields are no longer mandatory when importing variants, custom columns can now be downloaded and imported, added an anti-spam CAPTCHA module for the submitter registration form. Bugs fixed: Fixed two bugs in the Reference Sequence Parser script. The next LOVD build, 2.0-16, is expected to be released March 2nd, 2009. Manual version included: February 3rd, 2009. Today, LOVD 2.0-14 has been released. New features implemented, amongst others: The submitters' variant view allows a submitter to be selected from a list, the Variant/DBID field is no longer mandatory during import and the values will be filled in automatically, added searching on the custom column global settings listing, users can be forced to change their password at next log on, added a "Forgot my password" option (turned off by default). Bugs fixed, amongst others: Fixed problem in the documentation section, fixed problem with the ShowMaxDBID module, fixed double gene listing on the submitters' variants overview. The next LOVD build, 2.0-15, will be released February 2nd, 2009. Manual version included: November 27th, 2008. Today, LOVD 2.0-13 has been released. New features implemented, amongst others: Added "Unhide all columns" button if at least one column is hidden, curators can now specify a submitter connected to the patient during the submission, added "curate all" functionality, DBID value checking now includes other variants in the submission process, added summary tables, added advanced searching on the submitter listing for admins. Bugs fixed, amongst others: An error when submitting a variant which was already in the database, could have resulted in loss of this variant, included a check to prevent fatal errors, documentation section sometimes showed an empty page due to an internal infinite loop, fixed 5 bugs in the LOVD Reference Sequence Parser script. Manual version included: October 7th, 2008. Today, the LOVD Windows local install CD 2.0-12 has been released. Today, LOVD 2.0-12 has been released. New features implemented: Faster installation, enlarged three columns, added new column, better handling of column hiding, added new search overview to find the amount of entries (including hidden entries) matching search terms, added updated Reference Sequence Parser. Bugs fixed: Fixed loss of session problem permanently, fixed menu problems with URLs containing double slashes. Manual version included: September 26th, 2008. Due to some unpredicable behaviour of the newly implemented session_regenerate_id() function, an update of LOVD 2.0-11 has been released today. Users working with multiple LOVD installations contained in the same directory tree, might experience the problem of getting forwarded to the login page directly after providing the correct credentials. No error message is shown. If you're experiencing this problem when logging into LOVD, remove all LOVD cookies so you can log in successfully, or fix this problem permanently by installing the LOVD 2.0-11 update. Today, LOVD 2.0-11 has been released. New features implemented: Added protection against Session Fixation, submitters can see their non-public submissions in the My Submissions overview. Bug fixed: Fixed problems with Internet Explorer when downloading files over https. Manual version included: August 28th, 2008. Today, LOVD 2.0-10 has been released, which includes many security fixes and an important fix in the find & replace functionality. Although it has become a custom to release a new LOVD build on the last Friday of the month, these updates are regarded important enough to justify an early release. LOVD 2.0 build 11 is expected later this month. Manual version included: August 1st, 2008. Today, LOVD 2.0-09 has been released, which is also the first version with the LOVD manual included. Writing the manual was a lot of work what meant this release is low on other updates, but it really was time for a good manual. New features implemented, amongst others: Deleting a curator makes the current user curator of the orphaned genes, included the LOVD manual of July 25th, 2008. Bugs fixed, amongst others: Wrong number of variants possibly shown when deleting a gene database, deleting a variant showed incorrect allele information. Manual version included: July 25th, 2008. Today, LOVD 2.0-08 has been released. Bugs fixed, amongst others: Curators couldn't use Find & Replace functionality, fixed three bugs in the DB-ID prediction and check functions. Today, LOVD 2.0-07 has been released. New features implemented, amongst others: Faster installation, added export format, added custom column. Bugs fixed, amongst others: DB-ID consistency check complained too often, and wrong DB-ID was sometimes forced, wrong default pathogenicity on import. The LOVD Windows local install CD has been released!!! It will install LOVD and all necessary software on your Windows computer in just a few minutes with virtually no effort. This CD runs on Windows 98, NT, 2000, 2003, XP and Vista and requires 200MB free space on your hard drive. We are working on a LOVD Windows local install CD. Currently, there is still an email issue that needs to be ironed out, but the CD is expected to be released soon and will be put on the website available for download. The LOVD Windows local install CD will install LOVD and all necessary software on your Windows computer in just a few minutes with virtually no effort. This CD runs on Windows 98, NT, 2000, 2003, XP and Vista. Today, LOVD 2.0-06 has been released. New features implemented, amongst others: Variant counts calculated using Patient/Times_Reported, updated LOVD status page, submitters can edit their submissions if "My Submissions" is enabled, added consistency check on Variant/DBID field. Bugs fixed, amongst others: Fixed broken link from the configuration area, import script did not recognize version header if it was quoted, ShowMaxDBID module could show wrong gene name. Today, LOVD 2.0-05 has been released. New features implemented, amongst others: Added Free Edit (Find & Replace feature), cleaned up variant overview in case of many variants associated with one patient, submitter information is now directly linked from the reference column. Bugs fixed, amongst others: Custom link error messages, search term quoting, fixed Dutch code comments. Features removed: Removed columns from the full download file that appear to confuse people, removed email addresses from the public submitter listing. The email addresses are still available from the submitter's variants. Today, LOVD 2.0-04 has been released. New features implemented, amongst others: Columns can be temporarily removed from view in the variant listing, LOVD can now run under SSL protection, added more options to the pathogenicity list, download file now contains a format version number. Bugs fixed, amongst others: Fixed memory consumption problem of import script, custom column data type edit problem, security problem with update information retrieval, downloading the variant list may not have downloaded all homozygous mutations. Feature removed: Dropped upgrade support from the alpha releases. If you are running an alpha release (from before April 27th, 2007) you need to upgrade to a beta release first, before you can upgrade to the latest stable release. Today, LOVD 2.0-03 has been released. New features implemented: Curators can align header and footer messages, submitters can have more than one email address, added warning message when editing column data type. Bugs fixed: Faulty "gene has no curator" error fixed. Today, LOVD 2.0-02 has been released. New features implemented: Updated some security measures, HGVS standard columns can now be edited, non-public variants can now be excluded from the unique variant listings, selected columns can now be reset to the system's default. Bugs fixed: SQL injection security problem could arise in new PHP versions because of call-time pass-by-reference deprecation, fixed 6 bugs in the submission process, the genes' last update fields did not get updated, curators couldn't search on submitter ID. Increased database efficiency a bit and fixed a minor bug. Today, LOVD 2.0-beta-10 has been released. This is the final beta release. The next release, dated October 19th, will be the first stable release. New features implemented: Improved function library, added ability to define which variant columns new genes get, updated selection list column handling, included showmaxdbid 0.1 module, added submitterid column to variant overview for curators. Bugs fixed: Fixed some markup errors in emails sent by LOVD, fixed sorting problem when sorting on DNA column. Today, LOVD 2.0-beta-09 has been released. New features implemented: Installation checks for for compatible versions of PHP and MySQL, HTML title now displays the page being viewed. Bugs fixed: Fixed memory consumption problem of import script, fixed problem in adding missing values to a drop down list. Today, LOVD 2.0-beta-08 has been released. New features implemented: Added option to add a known variant to the submission process, added option to curate a variant by the push of a button. Bugs fixed: Setup area showed the wrong date the system was last updated, variants starting with "c.(" were not sorted properly. Today, LOVD 2.0-beta-07 has been released. New features implemented: Added submission of new variant of an existing patient, added ability to connect a submitter to a patient, or clear the connection. Bugs fixed: Errors on the submission form, users are redirected back to the patient after editing. Today, LOVD 2.0-beta-06 has been released. New features implemented: Removed a large number of mandatory columns from the variant import format, it is no longer needed to repeat variant or patient information in the import file. Bugs fixed: Possible data loss after removal of selection list values, decent error message when no MySQL support is present. Today, LOVD 2.0-beta-05 has been released. New features implemented: new module system, included mutalyzer 0.1 module, new gene-wide mutation overview, submitters can now view all their submissions. Bugs fixed: bug in selection list columns that were converted to text-fields, bug with Internet Explorer when downloading variants, bug when sending empty multiple-option selection lists, increased size of three variant columns. Today, LOVD 2.0-beta-04 has been released. New features implemented: first version of module system implemented, simplified variant import procedure by making some columns optional, included better protection against session hijacking by setting cookie path. Bugs fixed: fixed deactivated custom link and fixed two import errors. Today, LOVD 2.0-beta-03 has been released. New features implemented: added reference field for gene databases, possibility to add gene specific headers and footers, added disclaimer option. Bugs fixed: errors when denied access due to disallowed IP address. Today, LOVD 2.0-beta-02 has been released. New features implemented: added password quality check. Bugs fixed: some small issues like typos, changed wording and reformatting. Features removed: redundant user setting (refresh variant listings), dropped upgrade support from the development releases. If you are running a development release (from before November 30th, 2006) you need to upgrade to an alpha release first, before you can upgrade to the latest beta release. New features implemented: selection list options editable for curators, four other minor features added. Bugs fixed: removed settings from config.ini file that were ignored anyway. Today, LOVD 2.0-alpha-10 has been released. Please note that LOVD 2.0 now requires PHP >= 4.2.0. This is the final alpha release of the 2.0 branch. The next release, dated April 27th, will be a beta release. New features implemented: importing previously downloaded variants, added the Patient/Times_reported column. Bugs fixed: multiple custom links display, sorting code was not updated on variant edit, false negatives in data type checking. Today, LOVD 2.0-alpha-09 has been released. Please note that LOVD 2.0 now requires PHP >= 4.1.0. New features implemented: greatly improved query efficiency, added repeated header in the variant listings, and added data download capability. Bugs fixed: fixed problem when removing the exon column, and other small fixes. This week, LOVD 2.0-alpha-08 was tested how it performed under a load of 250 genes, 50.000 variants and 25.000 patients. It was found that optimization was necessary to guarantee proper performance under heavy load. After analyzing the cause of the delays, optimizations were made to the LOVD database table structure, resulting in great speed improvements. 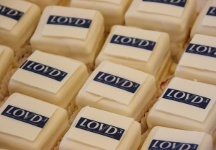 Now, even with 20-fold more contents (5.000 genes, 1.000.000 mutations, 500.000 patients), LOVD 2.0 performs perfectly. The optimizations will be available from the next LOVD release; 2.0-alpha-09. Today, LOVD 2.0-alpha-08 has been released. New features implemented: added ability to report a variants' pathogenicity, added polymorphism table, disease column no longer mandatory. Bugs fixed: variant allele value was not properly mentioned in the submission email. Today, LOVD 2.0-alpha-07 has been released. New features implemented: added unique variants view, added ability to globally edit custom columns, more allele settings available. Bugs fixed: Minor issues regarding custom column creation, submitter overview. Some screenshots have been added to the screenshots page. The steps of the new submission process are shown more elaborated (LOVD v.2.0-alpha-06). Today, LOVD 2.0-alpha-06 has been released. New features implemented: four new patient columns and the ability to create new custom columns yourself! Bugs fixed: one minor and fixed possible data loss when editing variants or patient data. Today, LOVD 2.0-alpha-05 has been released. New features implemented: all handling of the custom patient columns (listing, detailed viewing, sorting, editing, adding and removing). Bugs fixed: minor bug in upgrade script. Today, LOVD 2.0-alpha-04 has been released. New features implemented: ability to add pre-configured custom columns to a gene; ability to edit custom columns within a gene; resort a gene's custom columns; search forms added to gene home page. Bugs fixed: various problems with LOVD update checker; display issue on gene home page; various other small bugs and typos. Today, LOVD 2.0-alpha-03 has been released. New features implemented: some custom column handling on a per-gene basis; viewing activated columns and removing non-HGVS compliant columns. Bugs fixed: added missing files to package. Today, LOVD 2.0-alpha-02 has been released. New features implemented: the ability to empty a variant's gene table and a XSS vulnerability check. Bugs fixed: one minor, one modererate. As of today, this website can also be reached from LOVD.nl and LOVD.org! LOVD v.2.0-alpha-01 has been released! You can now try out LOVD 2.0 and see how it looks. As mentioned before, this is alpha software, so do not expect everything to work correctly. Coming November, we expect to release the first alpha release of LOVD 2.0. Most major functionality is done and therefore we think the time is almost right to show what the new LOVD looks like. Do you want to be an alpha tester? Two more screenshots have been added to the screenshots page. You can preview the totally renewed submission process (LOVD v.2.0-dev-25). Some screenshots have been added to the screenshots page. You can preview the public area, and two more admin screens (LOVD v.2.0-dev-22). We've decided to put an feature freeze on LOVD 1.1.0. Basically, this means no new features will be implemented, and new releases are restricted to bug-fix releases only. New features will be implemented in the new 2.0 release. Some screenshots have been added to the screenshots page. You can preview the installation procedure and the setup area, as it is now (LOVD v.2.0-dev-14). The website of the LOVD v.2.0 release has been opened. There is no download or screenshots available yet, but you can expect some screenshots in the future before release.